Home » Dial Deep Cleansing Hand Soap Giveaway! Dial Deep Cleansing Hand Soap Giveaway! I think finding a good hand soap can be complicated. There are many factors that need to be looked at. For example, I need to have a hand soap that has a strong scent. After that first pump, I want my nose to fill up with an intriguing and wonderful smell. I also want to know my soap is moisturizing my skin. A lot of soaps leave your hands dry, and I have to use lotion soon after. Since it is winter, I do not want my hands drying out from my soap. They need to be moisturized and gentle. So when I was able to try out the New Dial Deep Cleansing Hand Soaps, my needs were immediately met. I was able to sample two brand new scents, Water Blossoms and Yellow Raspberry & Black Sugar. I first tried out the sunshine yellow bottle of Yellow Raspberry & Black Sugar. The smell is fresh and sweet, perfect for the upcoming Spring season. The other scent is Water Blossoms. This is a floral and refreshing scent that makes your hands feel clean and crisp. I enjoyed the texture of these soaps. Most of all, they have gentle micro-scrubbers in the new formula that exfoliate, moisturize and clean your skin while you are washing your hands. These new hand soaps are a must for you and your family! If you want to try the New Dial Hand Soaps, I am hosting a giveaway where you can enter to win a coupon for a FREE full size bottle of the New Deep Cleansing Hand Soap! Make sure to enter below through 03/12/14. NEW Dial Deep Cleansing Hand Soap is the latest Dial Brand hand soap bringing luxury to your hand washing experience. These premium soaps feature vibrant scents, a gentle micro-scrubber formula that smooths and moisturizes the skin, and a completely new design that adds personal style to your home. Yellow Raspberry & Black Sugar: Refreshes your senses with a tart and rich sweetness. Water Blossoms: Invigorates with a crisp floral scent inspired by aquatic botanicals. Coconut Lime Verbena: Brightens your day with juicy and tangy citrus. To celebrate the New Dial Deep Cleansing Hand Soap, I am hosting a giveaway and giving away coupons to redeem a FREE FULL size 8oz bottle! Enter below to win through 03/12/14! 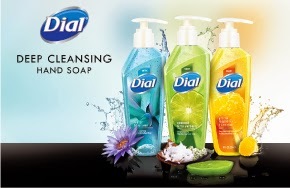 "The Dial brand provided me with a sample of Dial Deep Cleansing Hand Soap in exchange for a product review. 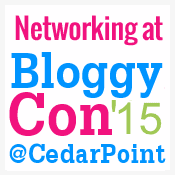 However, all the opinions expressed here are my own." READ Ozeri Green Earth Pan Review! would love to try raspberry and black sugar!